I'm going to buy and learn violin in next several months. I want to ask what I can do now, such as ear training or anything to improve my "sense" on music. I usually listen to baroque music and Suzuki's lesson for entertaining. I'm planning to practice ear training but I'm not sure how and will it be effective when do it myself. So do you think I can do anything before learning violin (yes, I will definitely learn with teacher at first)? As a violinist, a few suggestions I have are to look up charts that you can review and quiz yourself on flash-card style. For example, musical symbols, key signatures (a common introductory one for violin is D major), easy time signatures (such as 4/4, C, 3/4, etc.) and clefs (treble, alto, bass, etc.) In addition, a diagram of where the finger positions are, what notes they produce by name, and where they fall on the treble staff, enough to at least be able to display all of 1st position. You might not be able to play all of it, but it's material that you can begin steeping yourself with. Since you mentioned that you are listening to baroque music and stuff to prepare, you might choose to pick up a physical or online copy of Suzuki Book 1 and look for the audio. Try to read along the music as you listen to it. See if you are able to identify rhythms and general reading sense (as notes increase in pitch, they go further up on the staff, for example) from hearing and seeing them at the same time. Sometimes, looking at the big picture helps when starting out. In addition, a rounded stick such as a pencil would be helpful for practicing bow grip. Practice your bow grip on it until you get a comfortable grip that simulates a bow grip that does not create undue stress on your hand. Diagrams and videos that show how to position your hand are great for this. Also, look up videos for how to properly draw the bow and get accustomed to the motions. This will be of great help in avoiding scratchiness (or else getting rid of it quickly) when actually playing the instrument. Some beginners have trouble relaxing their bow hand and understanding the way the arms and wrist bend and when they do when playing. By the time the instrument is in your hands, you should be able to recognize clefs, simple time signatures, simple key signatures, basic rhythms, and the location of the open string notes on the treble staff. You should also have a basic understanding of how to properly make sound from the instrument, and can begin making an attempt at locating the notes on your instrument as you begin to learn them. All of this should prepare you very well for your first lesson with your instructor. Be sure to wait on getting an instrument until you discuss it with your instructor, as you want to avoid getting a "Violin-Shaped Object" that will not play well and will only serve to muck up your expectations of progress. Your instructor should be able to recommend an affordable instrument from a reputable workshop and good quality strings for your level so that you can make beautiful sound on your instrument from early on. Well, there's a big range of possibilities here, since everybody's approach has at least some individuality. But there are some generally useful things. Do you already read printed music? And do you already sing (whether by ear or as you read the music)? Learning and doing both of those things, reading and singing, can and will help your musical receptiveness and action very much -- it will help move you along to an altogether more active kind of musical participation than you have needed in the role of a listener. There are some good learning-tools online: you can consult and study them already before you begin to read and to sing or play from actual sheet-music, and use them as reminders later on. But get hold of some sheet-music too. For my tastes, http://www.wikihow.com/Read-Music lays it out neatly, and builds up logically. 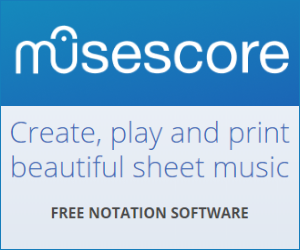 If that doesn't appeal to you, there are also other useful approaches, perhaps especially http://www.musicnotes.com/blog/2014/04/11/how-to-read-sheet-music/ , then the 'Four secrets' page at http://oneminutemusiclesson.com/2014/03/01/the-4-secrets-to-learning-to-read-music-for-the-beginner/ , then http://www.essential-music-theory.com/learn-to-read-music.html , and many more. Something on which there can be more than one view: one webpage says that "If you are learning to play an instrument ... piano ... or ... violin ... you should learn to read music as you learn your instrument." -- Yes, up to a point. But you can also do valuable build-up learning even without the specialist instrument, when you learn to sing the notes that you read. Your voice is a valuable learning and training instrument, even if you don't feel ready for others to listen in. Not the answer you're looking for? Browse other questions tagged technique practice learning violin self-learning or ask your own question. Learn music professionally, not classical and not jazz?